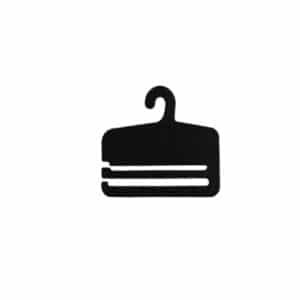 Order from the accessory hangers manufacturer and get the best deals. We manufacture accessory hangers in our own factory in Ireland. As a result save money, cut out the wholesaler and buy direct from the factory! 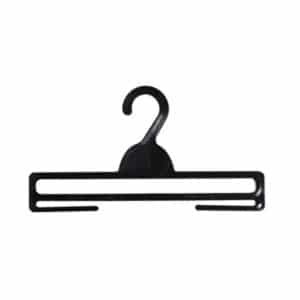 Browse our wide range of plastic scarf hangers. 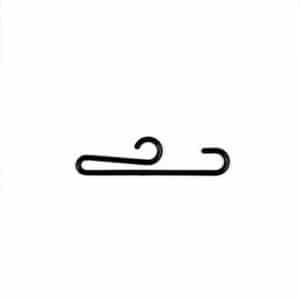 Select our best selling chiffon scarf hanger RS1. Simply fold scarves over the middle bar. Made with a space saving flat finish. Also, perfect for showing off scarves in retail display. 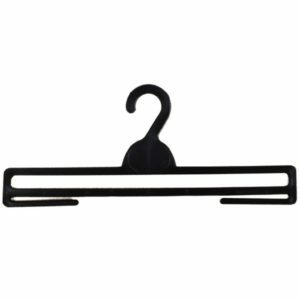 Choose also another best seller the CH1 scarf hanger available in black or pearl. As a result of the stylish design it is perfect for keeping silk scarves neat and tidy. Also, an excellent choice for retail display of silk scarves. Store shoes using our DH7 plastic shoe hanger. Available in pearl and ideal for hanging shoes and footwear because it is 18cm high and 10cm wide. Made with a space saving flat design and as a result does not take up much space in your wardrobe. In addition, ideal for showing off shoes in retail displays. Also, order our strong metal boot clip to hang boots and shoes. 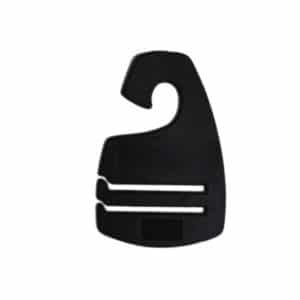 The soft rubber surface protects boots and shoes from marking. Keep your socks in order with our 11cm wide S1 sock hangers. A great way of hanging socks and keeping socks in pairs! 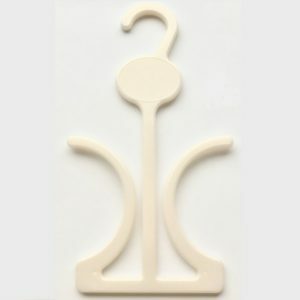 Browse also our range of display hooks for hanging packs of socks in retail display including our DH2S and DH2L. 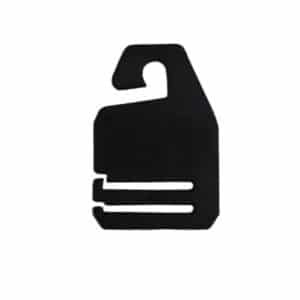 Print your company name on the oval label area on the DH1 display hook. 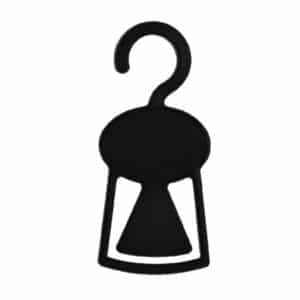 Visit our Printed Hangers page to find out more. Use our tie hangers to keep your ties neat and tidy. 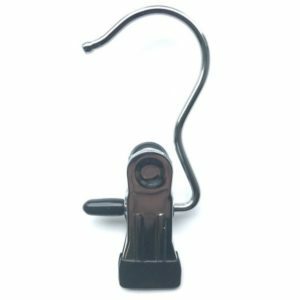 Browse our wide range including our plastic tie hangers T1A and T3A. 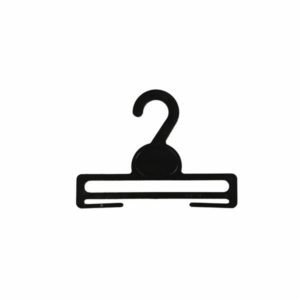 Buy our best selling black plastic tie hanger T2A. Also, the top choice of retailers and men’s outfitters because of the stylish design. Simply fold ties over the plastic slits to stop them creasing and keep them ready to wear at all times! 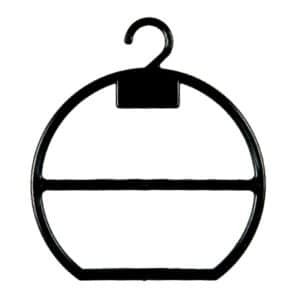 We also stock accessory hangers for hotels. 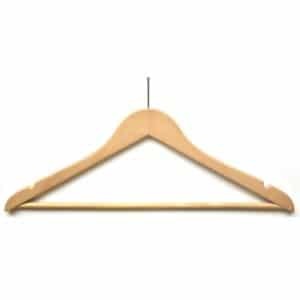 Use our multi-purpose hotel hangers with bar to hang jackets, shirts, tops and trousers. Also, hang skirts and dresses by slipping loops over the shoulder notches. Made with a natural wood finish and a silver pin. Also, fit the pin in to an anti-theft ring to stop people removing the hanger. Please note we currently do not stock the anti-theft ring. Get fast delivery of normally just 1 to 5 working days across UK and Ireland. Also FREE delivery on orders over €75 + VAT (or Sterling equivalent). Simply select the free shipping option in checkout. In addition, choose to pay in either Euro or Sterling. Just click on the currency tab on each product page and select Euro or Sterling. 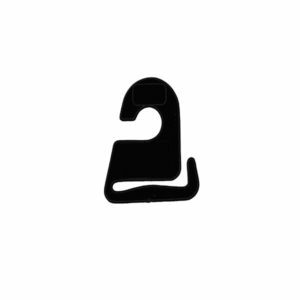 Simple, fast and secure. 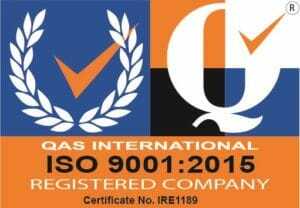 Save money now and order direct from the manufacturer!